The rivalry reignites between two AFC East teams on Sunday when the Buffalo Bills visit Gillette Stadium to take on the New England Patriots. Both coaches are keeping to the script though as they have only spoken about football matters. The Bills have a pretty awful record at Foxborough since it opened, with a record of 1-12, the only win coming in the last game of the 2014 regular season when the Pats rested their starters for the playoffs. 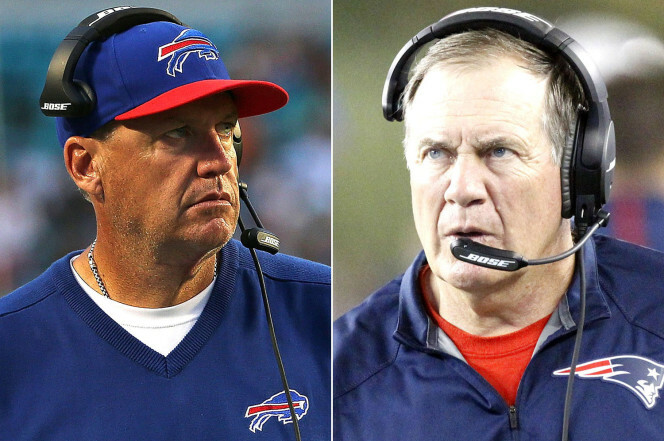 During Rex Ryan's conference call with the Patriots reporters, previous remarks made by the Bills coach were brought back to light. In particular when he said he was an 'above-average coach'. Ryan didn't seem amused with the comment and when asked about Tyrod Taylor and the Patriots running game he called them above-average as well, in a very awkward exchange. He ended the call saying, 'I'm going to show you average who'. We will see on Sunday because Ryan has talked before and his teams haven't done the business on game day.